My Chess Apps: Follow Chess App is now on iOS!! Follow Chess App is now on iOS!! After a long wait (and some anxious moments with Apple [read at the bottom of this post! ]), Follow Chess is finally on iOS! I am personally pleased and happy with the End product. On Android, the App received a very warm response and I have loved reading the kind feedback and suggestions from everybody. It was also personally very satisfying, since I could learn lots of new Technologies along the way and do some cool things. But what could be more gratifying than a Tweet from your Chess idol!!? Consequently I started receiving more and more responses for an iOS version! Then began the hunt for a iOS Developer who could help! In fact I even received some cheeky remarks from Android fans, that the App be kept exclusive to Android, since thats one thing which the iOS guys would not be able to enjoy! The iOS project which started with one developer in Q2 of this year, ended with another Developer completing it couple of weeks back (Developer #1 quit in between!)! It was a very interesting journey and I couldn't have been more happy to see the App finally on iDevices! 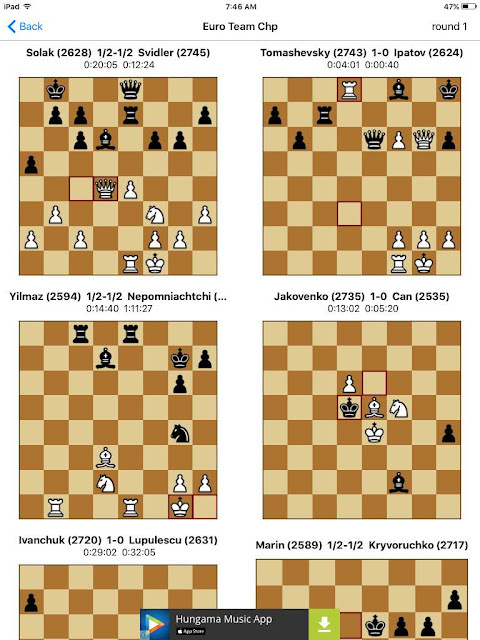 And ofcourse, there are many other tournament games to follow; tourneys which got over in the recent past or as old as the 2014 World Rapid and Blitz! 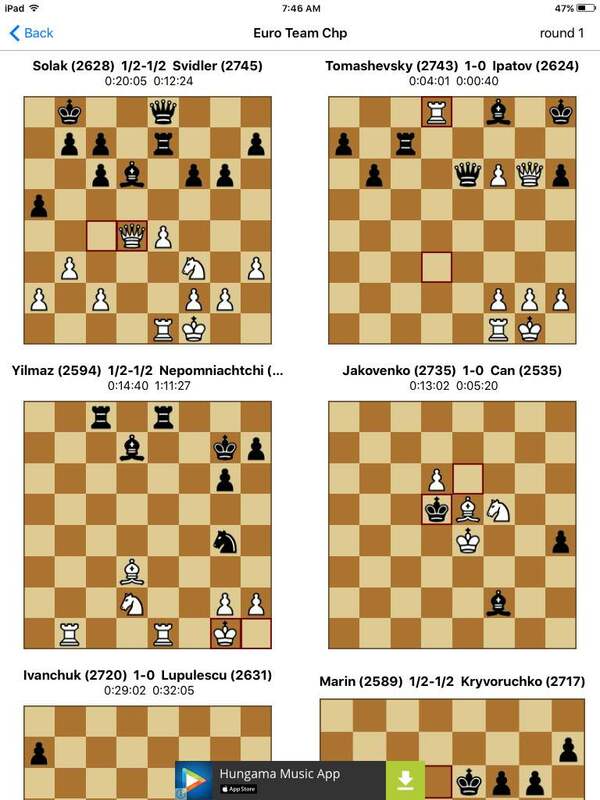 Multi-boards in the same screen - With Follow Chess, you can keep a tap on all the LIVE games of a tournament, on a single screen! So you don't need to keep changing the boards or screens! Make your own moves - When you choose any individual game to view, you can even play out your own moves in a sub-variation to understand what could have happened if the player had chosen a different path (in the same screen!) And not just that, the App is smart enough to know when an actual move is made in the Live game and gently inform you, so you can get back to following the action! Now what better way to learn from the Masters!! Follow your country-men (women) - Follow Chess was really built with the intention of making it easy to follow and watch games that you may like. So if you choose your country (in the first popup or via Settings), Follow Chess will smartly show games of your country men on top! So you don't have to scroll down looking for them. 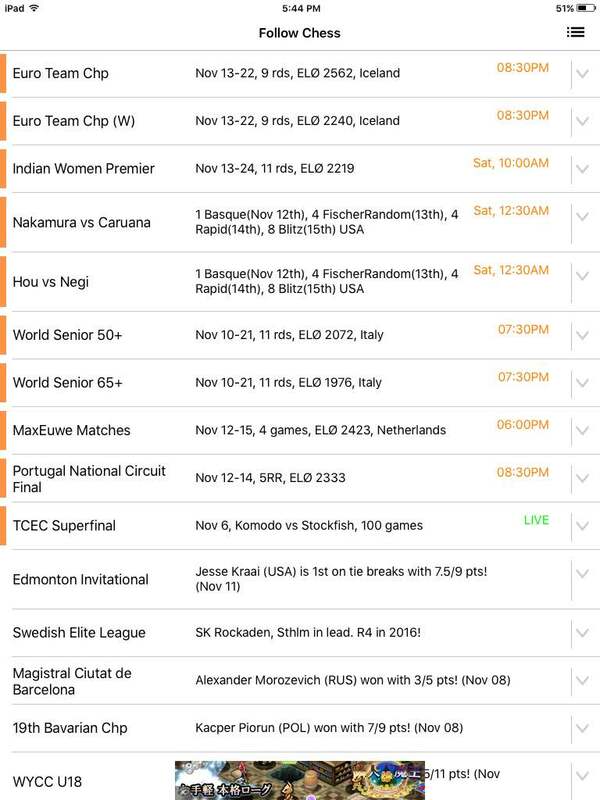 You also get to see when the next round of each Tourney starts, in your local time! However, this is only the first version and many exciting features (some of which are already in the Android version), will be added soon (but definitely at a much faster rate than what I have been able to do with iChess for iOS & Chess Book Study for iOS). Yes, but all Apps will get their due share of Upgrades and features which the Android counter parts have been enjoying all these years! Go download now or tell your Chess buddy! Please do leave your feedback in the App Store, or drop me an email with your suggestions/feedback! PS. Why I dislike Apple! The App should have been available 7 days ago, but for Apple's difficult-to-comprehend App Approval process. They wanted that the App Description in the App Store should have the below lines related to Subscriptions, which I think not many users would really bother to read anyways. But hey, please please read this, for Apple's sake!! You can purchase the Pro version of the App with a monthly or yearly Subscription. This entitles you to the current PRO features (View All games from previous rounds, Remove Ads, View All Standings) as well as any PRO features that may be added in the future.